Let the pre-baby freezer madness begin! 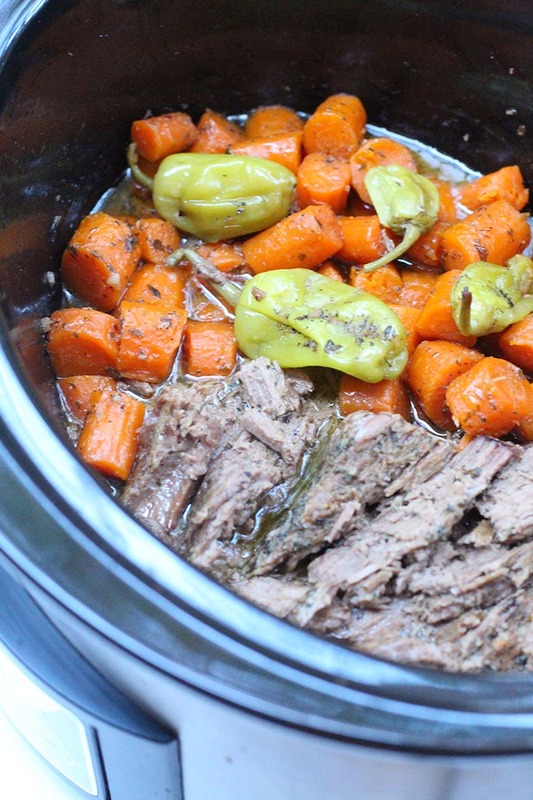 My mom helped me make 15 beef and pork crockpot freezer meals over the weekend, and I can’t wait to make more. 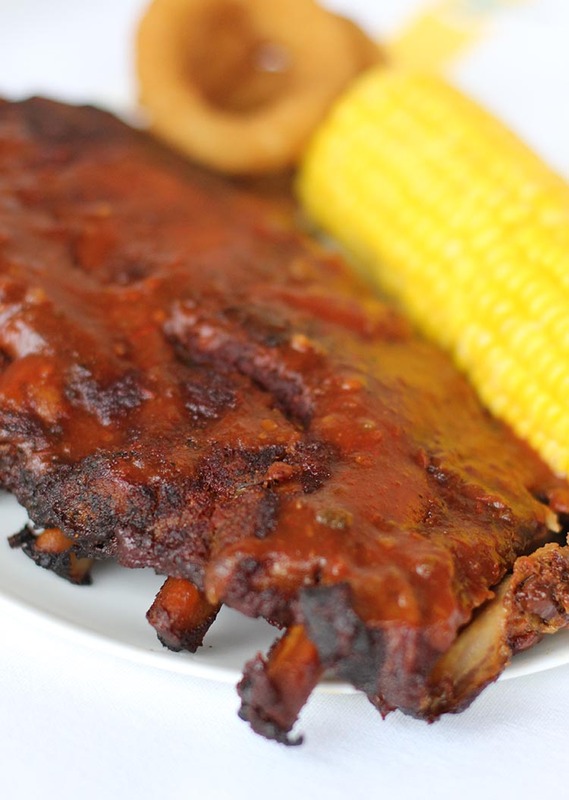 Here’s what we made, including my recipes and shopping list. These are all recipes that I’ve made before. 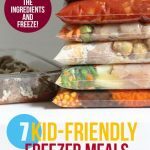 They are our family-favorites and are the perfect freezer meals for new moms!! 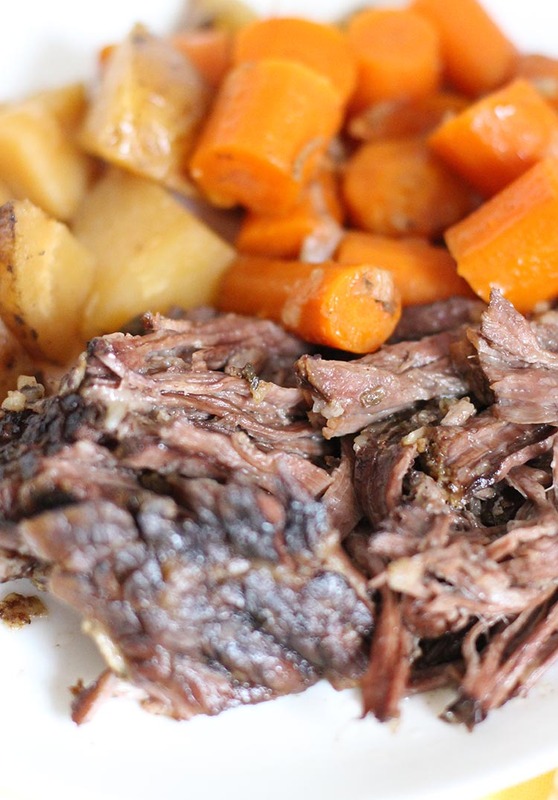 If there isn’t a link to the recipe above it’s because the recipe is from one of my freezer cookbooks or I made it up. 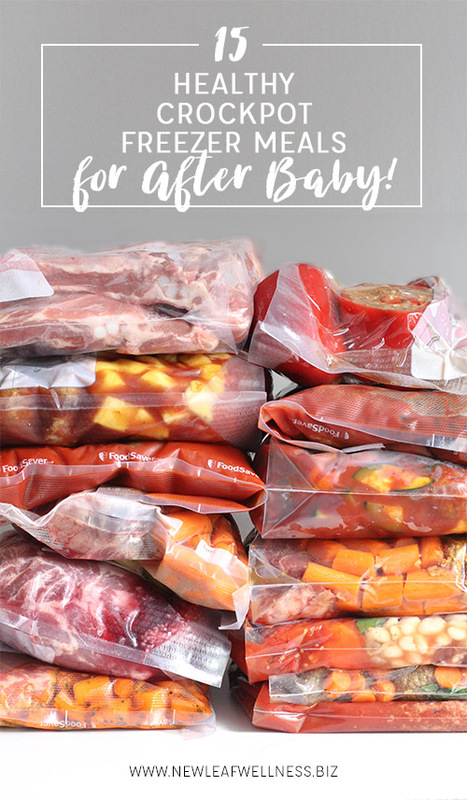 I stocked our freezer with 27 homemade freezer meals when I was pregnant with my third baby and it was awesome. 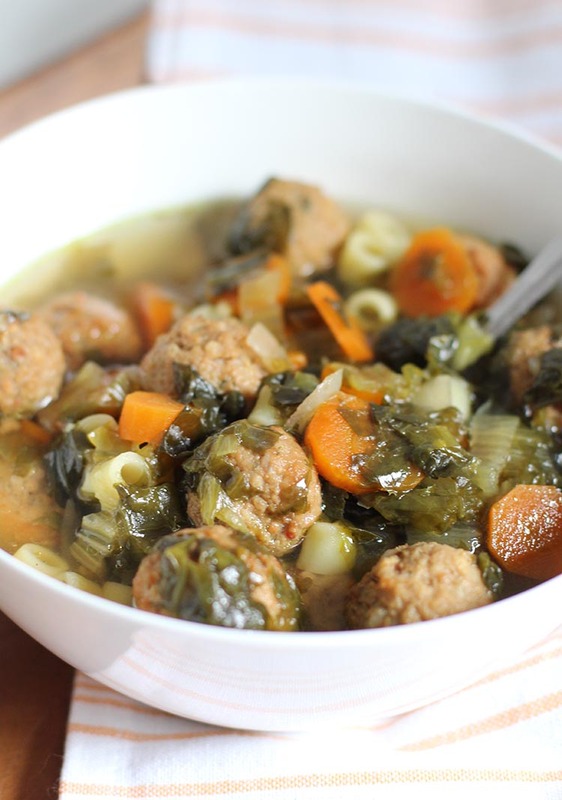 Instead of stressing over dinner or ordering take-out, we could grab something from the freezer. 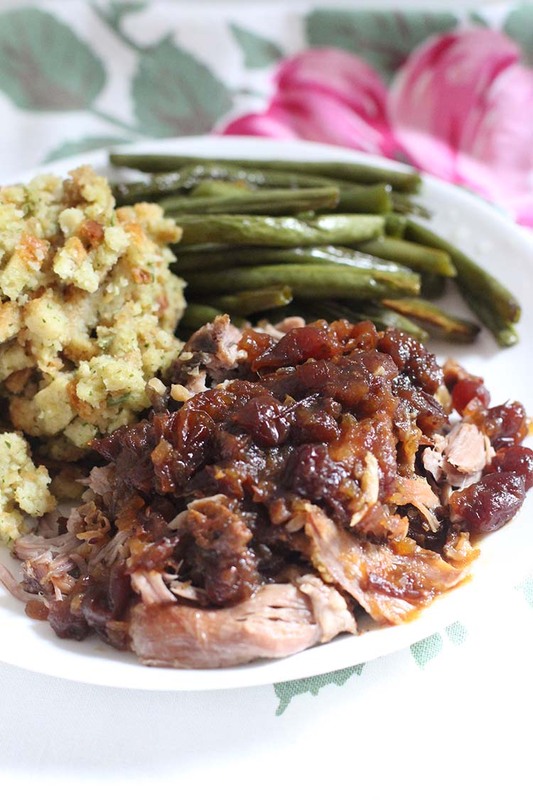 I’m currently 35 weeks pregnant with my fourth baby and want to make even more meals this time around. 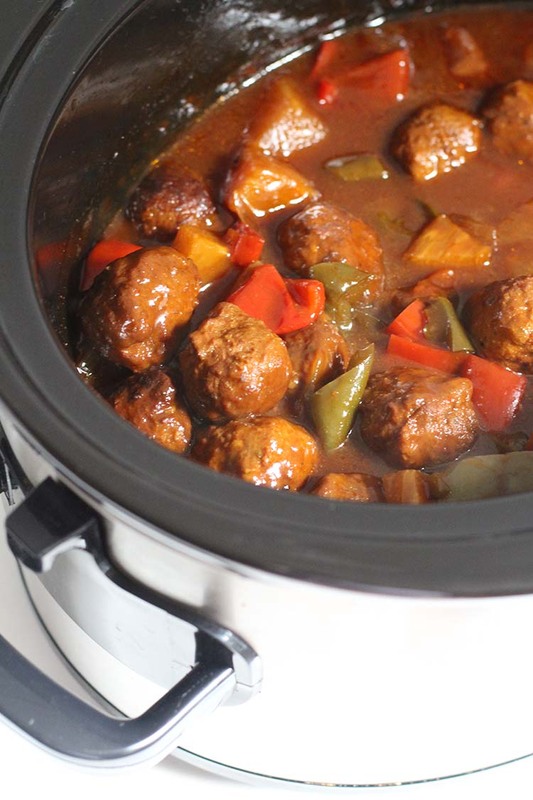 My plan is to make 15 beef/pork crockpot freezer meals, 15 chicken crockpot freezer meals, and 10 casserole-type dishes. 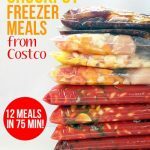 That’s a total of 40 healthy and delicious freezer meals! My mom offered to help me and it was so fun to make the first 15 meals with her. 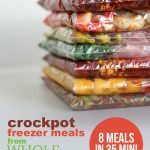 I’ve made hundreds of freezer meals so I did a couple of things ahead of time to save time and money. I picked several recipes that call for seasoning packets instead of lots of different seasonings and measuring spoons. I bought three bags of frozen diced onions so we wouldn’t have to chop 10 ourselves. I bought two bags of frozen green beans instead of fresh. I bought pre-chopped fresh celery. 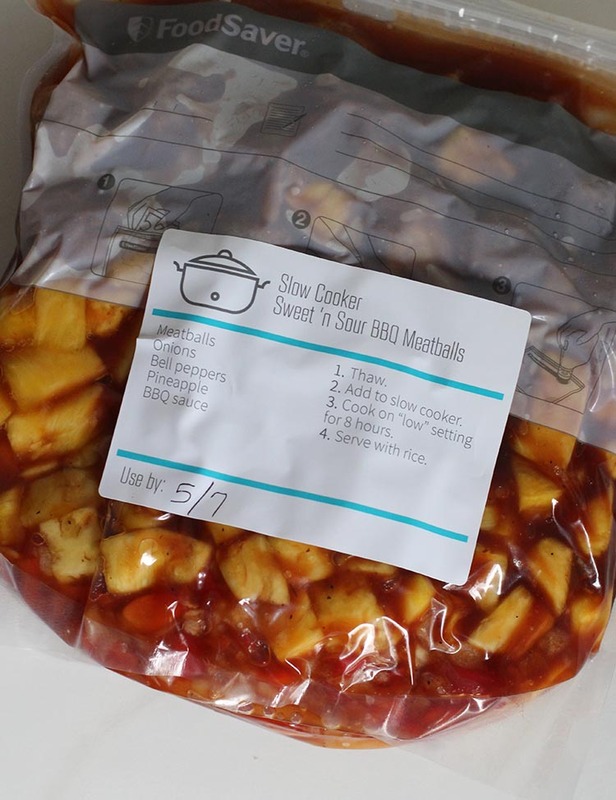 I designed freezer labels for the bags with their cooking instructions and printed them on Avery water-resistant stickers. I bought most of the ingredients at Costco. I bought dried beans and cooked them ahead of time to substitute for canned. 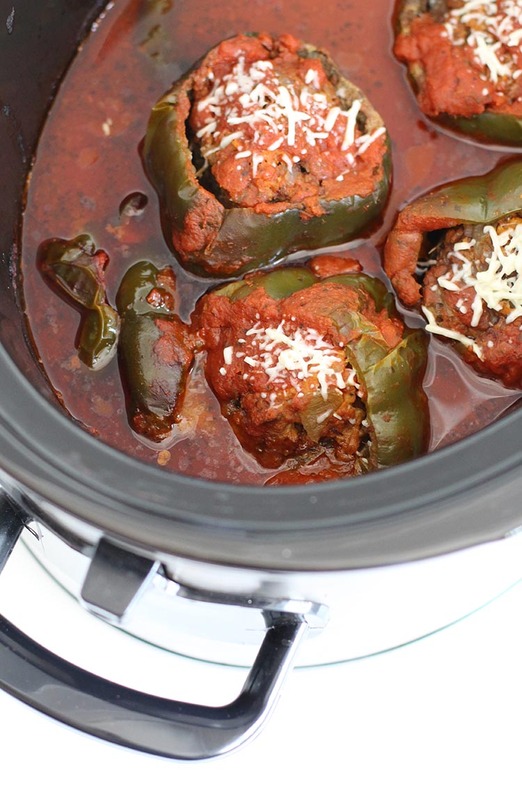 I substituted red peppers for green peppers because they were on sale. 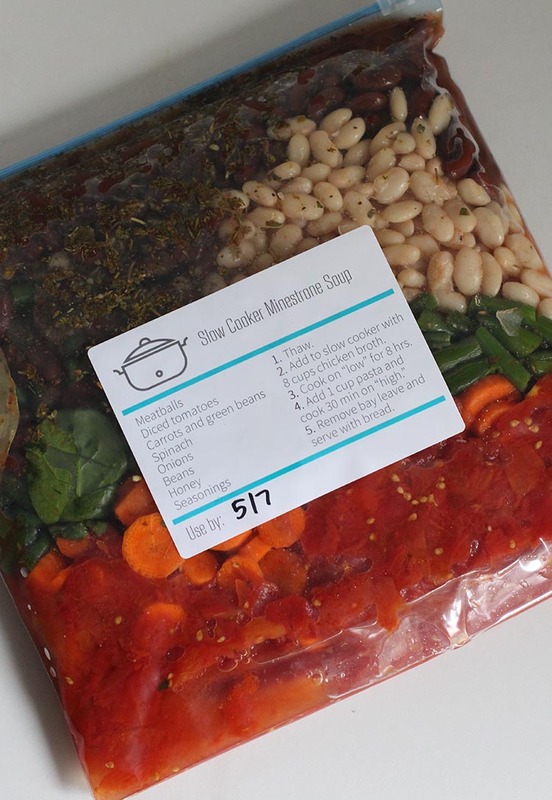 Most crockpot freezer meals will last in a standard freezer for at least three months. I’m sure we’ll eat most of these meals during that time period, but I decided to do two things to make our meals last six months or more: 1) I bought an upright freezer for our basement (Yay!!!) and 2) I bought a FoodSaver to vacuum-seal our meals (Yippee!). Neither of these things are necessary for making crockpot freezer meals, but we’ll get a lot of use out of them. Oh, and since I’ve made all of these meals before I have some photos of what they look like when they’re finished cooking. YUM. I’ll share another blog post when I’m done with the next batch of meals. Great idea for the Italian chicken. Yum. Thanks for sharing. I can’t think of any good advice for #3. Mine is much more difficult than the older two but I know a lot of people who ended up with super calm third children. I would say give yourself lots of time to adjust (like, 6-9 months) and then get in a really good routine. I’m on autopilot with cleaning, cooking, laundry, etc. I just couldn’t wing it anymore with three. 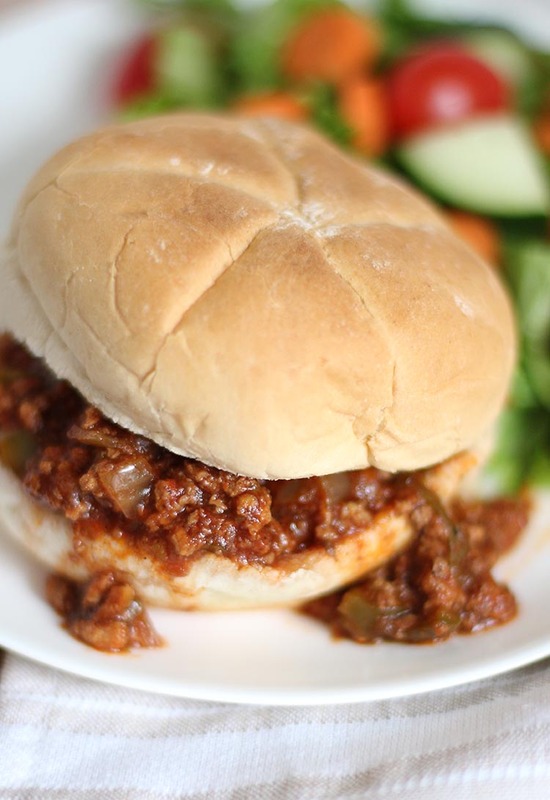 How did you use your food saver for the meals with the liquid in them? I tried that and had a big mess on my hands. 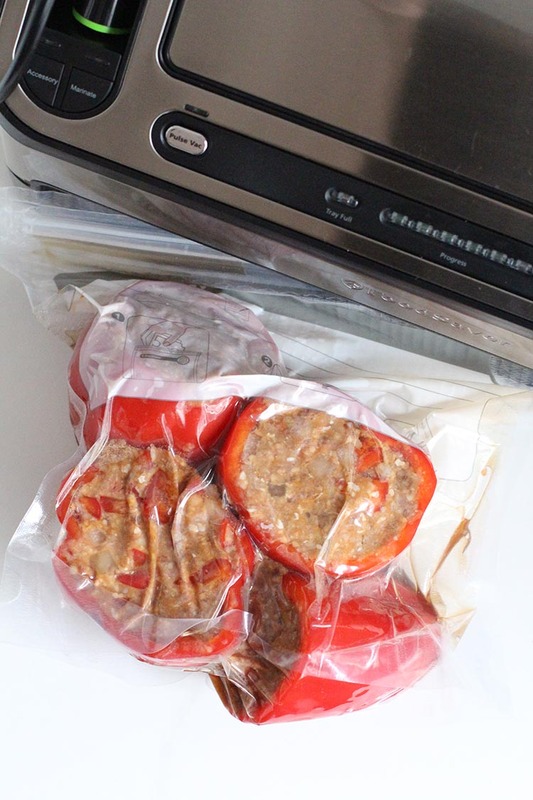 I would really like to use it instead of freezer bags if possible. Thanks! And thanks for the amazing recipes. My family loves them all and they are a life saver! I LOVE the FoodSaver. 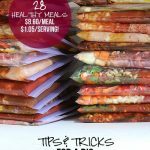 The trick is to cut big enough bags to fit the larger meals. 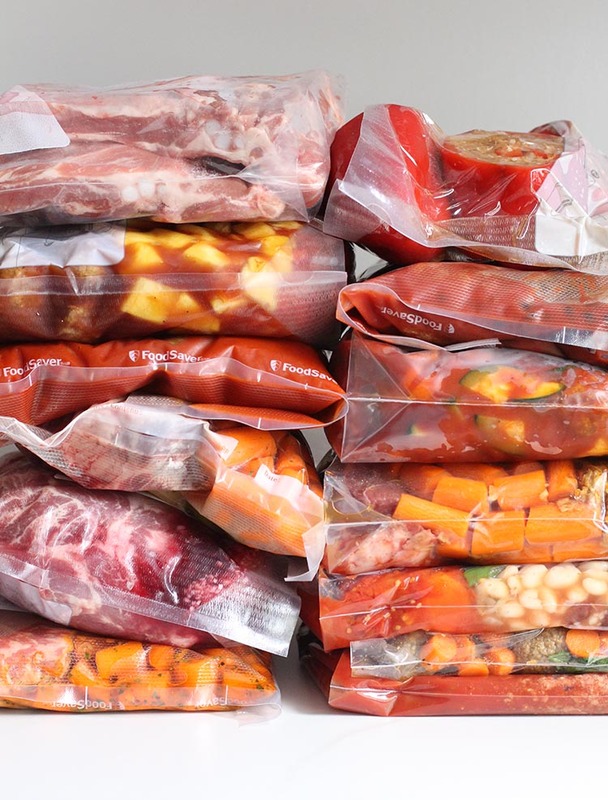 did you freeze the liquidy recipes first before vacuum sealing? Otherwise the liquid gets sucked out. or did you simply heat seal them without vacuuming? I think I suctioned the ones that I could and tried to fold the bags near the liquid so it wouldn’t get sucked out. If necessary, I simply heat sealed them. Oh, I’m so glad. Thank you for your kind words, Bonnie. How many cups of frozen diced onion is 1 onion? Awesome. Thank you, Kathleen. Best wishes for your pregnancy!